The author summarizes his experience creating a story-based simulation from raw documentary footage taken in the aftermath of the 2010 earthquake in Haiti. The use of Propp’s typology to create a heroic framework within which to organize the material is explained. 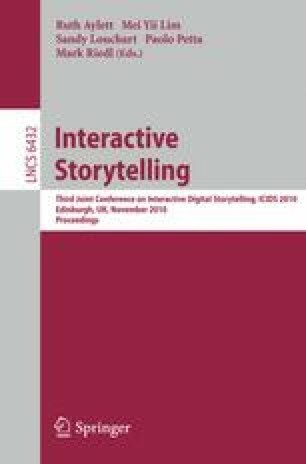 The author introduces the concept of Negotiation Clouds to improve a fold-back story structure and create meaningful agency for the user without compromising author control of the narrative.